This Sunday the 7th of August is Sister's Day, an annual event which always takes place on the first Sunday of August. It's a day to pay tribute to your sister or sisters and remind them how important they are to you. Even if you sometimes bicker with your sister (who doesn't?) at the end of the day they'll always have your back and look out for you! If you want to send your sister a gift for Sister's Day, it can be really difficult to decide what she'd like. If you want to play it safe you could just opt for a gift voucher or something along those lines so that she can choose what she wants. But that's a tad dull! If you really want to make Sister's Day unforgettable for your sibling, why not surprise her with a vibrant bouquet of flowers. We've a massive assortment of colourful and fresh flower bouquets that would be ideal for celebrating Sister's Day. 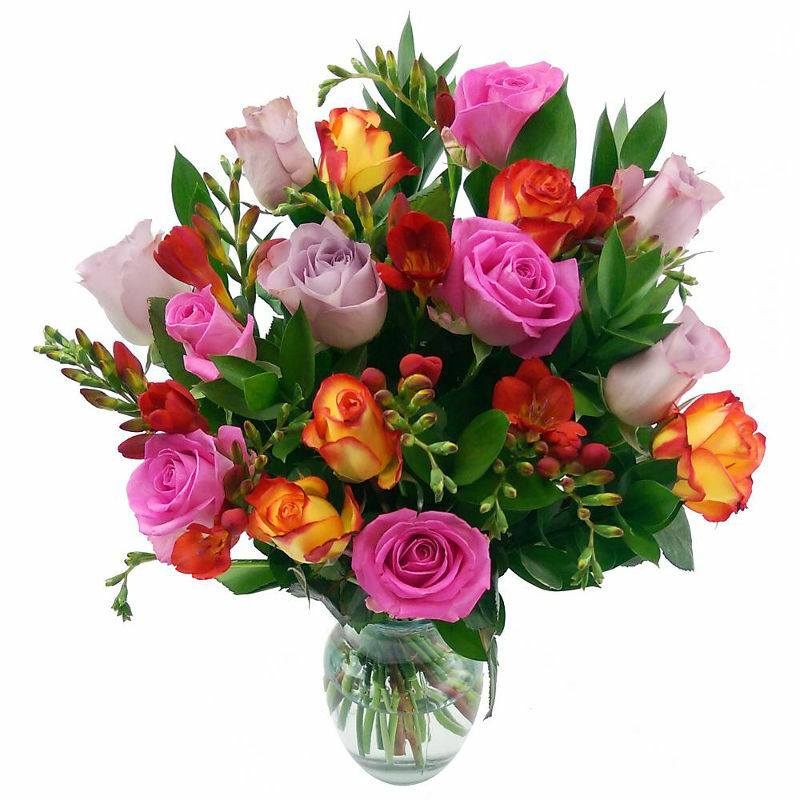 For example, our brand new Daydream Delight Bouquet is a spellbinding arrangement that features the freshest mixed roses and fragrant freesia. Your beloved sister would surely be totally thrilled to receive such a bold and beautiful floral arrangement. This week we're also offering free chocolates and a free vase with any purchase of either our Rose & Freesia or our True Romance bouquet. 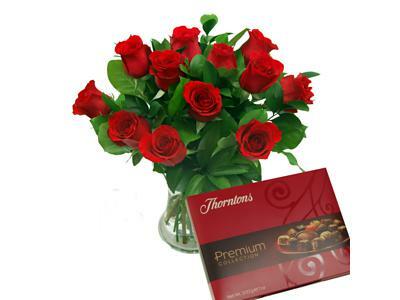 If your sister is a rose-lover the True Romance 12 Red Rose Bouquet is certain to make her weak at the knees. It features a dozen of the freshest premium grade red roses, expertly arranged by our team of professional florists. 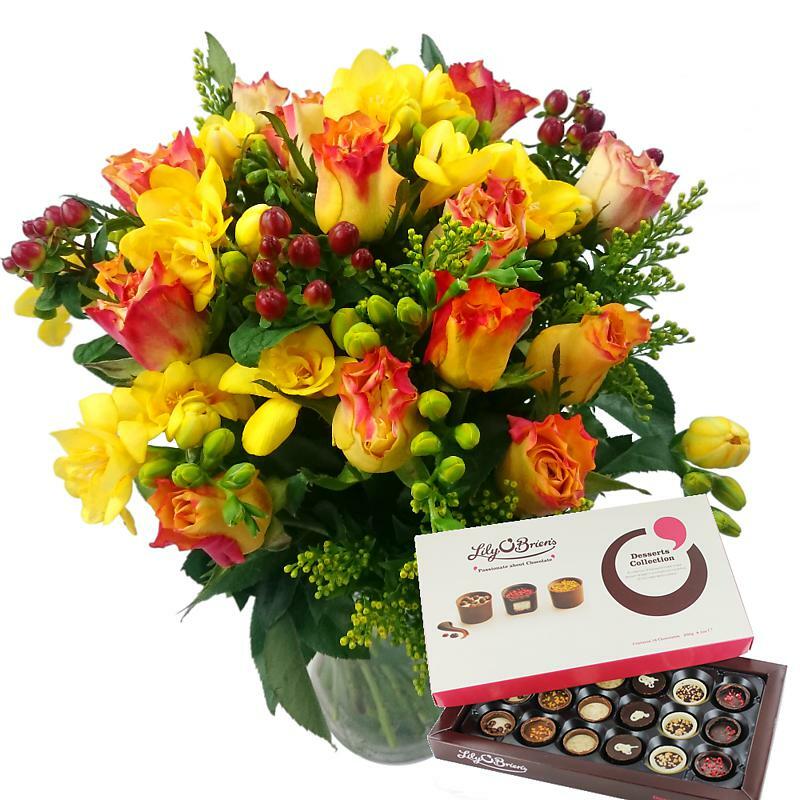 Meanwhile our Rose and Freesia Bouquet showcases an eye-catching blend of bold orange and yellow hues. As well as lovely roses and freesias, this bouquet also features pretty solidaster, all arranged amidst lush fresh greenery for spectacular effect. As with the True Romance, we're offering this bouquet for a limited time only with free chocolates and a free vase.